Learn about this Garfield Institution. Garfield High School is full of talented musicians, athletes, scholars- you name it. Many of our students possess a wicked talent, and The Pen is just one of the many opportunities here at Garfield where writers and artists can showcase their work. 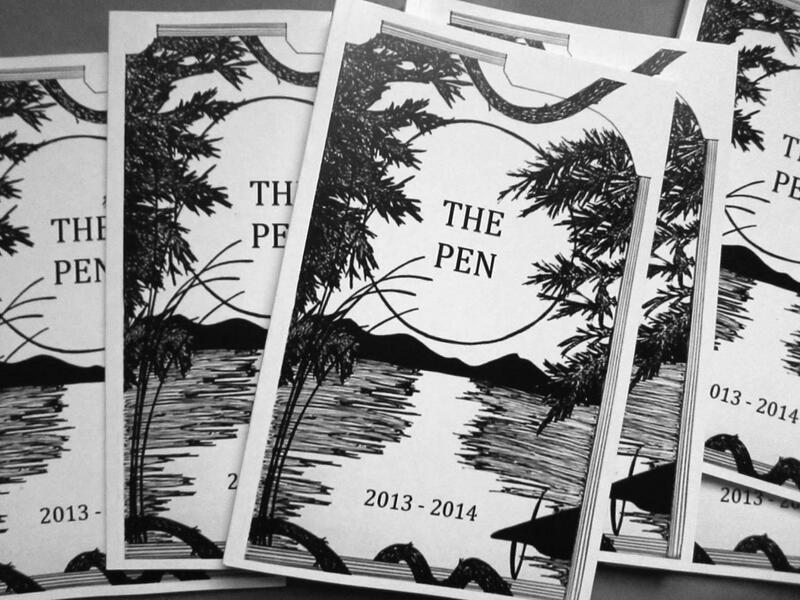 The Pen is Garfield’s literary and arts magazine where any student can submit their work. Students’ poetry, short stories, visual art and photography are published in an annual magazine. This Garfield institution operates as a weekly club, led by officers Kathryn Porter, Jonny Sabbath, Yuie Montsaroff and Susana Davidson, and advised by Language Arts teacher Stephanie Taylor. Their meetings are spent completing a variety of tasks, such as sorting through submissions or planning for an upcoming Coffeehouse, which is an open mic night for students. This year is especially significant for The Pen, because it is the publication’s 80th anniversary. It’s important to the club officers to preserve the school’s literary traditions, and showcase a new era of talent and creativity. If you are a writer, artist or photographer, and you are looking into submitting your work to the Pen, you still have time. The deadline for submissions have been extended to April 27. If you are interested in singing, acting, poetry, or showcasing your talent, come by the next Coffeehouse Open Mic on May 22 in the GHS library.